One of our 4th Grade literature groups finished “Sadako and the Thousand Paper Cranes”, by Eleanor Coerr. As part of finishing the book students learned how to fold paper cranes. 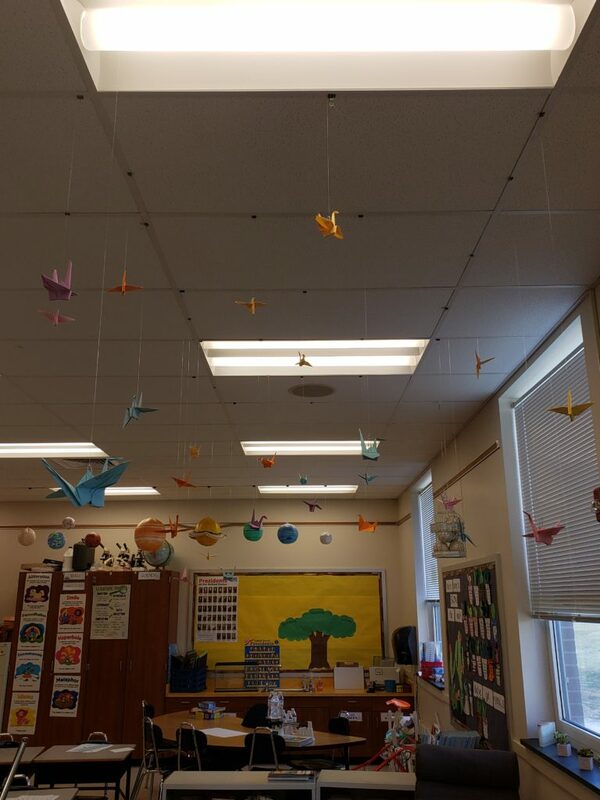 We also decided to hang the cranes in our room, in the same way Sadako did in the story.